Gold plated items have a layer of real gold deposited over another metal. 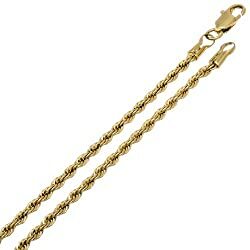 Our jewelry items have gold plated over brass, which gives them a weight that is very similar to real gold jewelry. 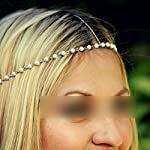 Do Gold Plated Items Turn? It depends on the quality of the plating. 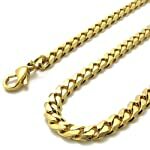 Some gold plated items have a very thin, weak plating that is only good for a few wears. However, our gold plated items have a plating that is more than 1,000 times thicker than the average gold plating, and the plating process that is used is much more effective. We are so confident in the craftsmanship of our gold plated items that we include a free lifetime warranty slip with each gold plated item. To better care for your gold plated items (as well as real gold items) avoid swimming, sweating and high humidity contact. 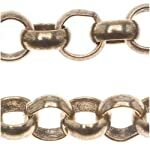 Our chains and bracelets are made with the finest craftsmanship available today. 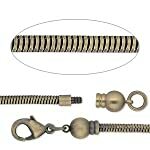 ALL of our jewelry items are brand new and quality inspected multiple times before shipment. We offer a specialized customer service team that is available seven days a week to answer any product questions before, during or after the purchase. If you're not satisfied for any reason, you will receive a full refund and free return shipping within the US if you return your purchase within 30 days.